You deserve great wellbeing not by chance … by design. Design the roadmap to do, feel, think and be well! Have you ever driven or caught the bus to work but not remembered the actual journey? Have you ever wondered why? It is estimated 40% of what we do each day is a habit? It one of the brain’s many strategies it employs to be efficient and effective. We embed our eating and living habits over time, and then we repeat them day in day out until we use them without giving them conscious thought. It is no wonder changing eating and living habits can be challenging. I understand changing your eating and living habits requires sustained effort and commitment over time. It is why I created this program. 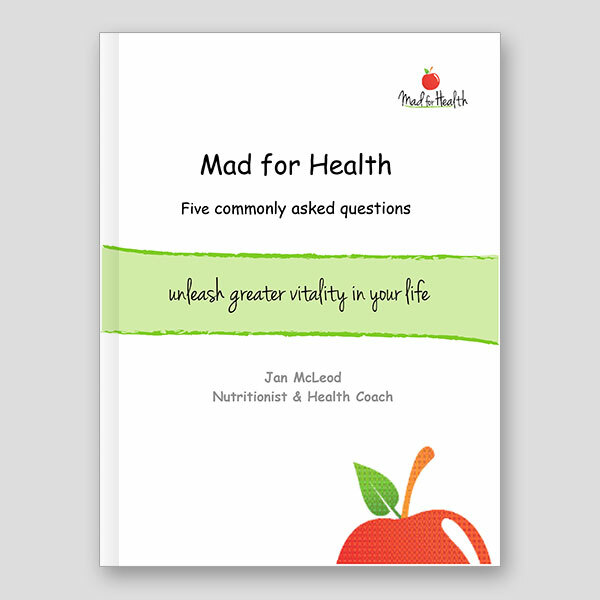 To give you the longer term guidance, support and structure to create and embed new eating and living habits. To become the wellbeing you deserve! Freedom from bloating, wind or reflux. How to more effectively manage your health challenge (think insulin resistance, type-2-diabetes, fertility treatment, thyroid issues, high cholesterol, Crohn’s Disease, IBS, Fibromyalgia). NOTE: This program can support and complement medical or health treatment you are receiving from other health practitioners. For this and more info go to Personal Clients FAQs. Recommended supplements or functional testing is not included in the above price.